This Halloween – and in celebration of our recent interview with Eric and Julia Lewald, two of the writers behind X-Men: The Animated Series – the Mixed Marvel Arts is having a Mutant Mash! Eight months after the events of Secret Wars, the X-Men are scattered and fighting against the Inhumans’ Terrigen cloud which is poisoning anybody with the mutant gene. Cyclops is presumed dead after an attack on the Inhumans, and three X-teams form in response to the brewing war. Storm relocates a classic-iteration of the X-Men to Limbo in Extraordinary X-Men, the time-displaced young X-Men fight against some of the X-Men’s most iconic foes in All-New X-Men, and Magneto recruits a lethal force of mutants to face the mutant race’s biggest threats head on in the latest version of the Uncanny X-Men. These comics can be yours for the taking! In order to express interest in the comics, please follow the Mixed Marvel Arts on their Facebook and Twitter page and ‘Like’ and ‘Share’ this ‘Mixed Marvel Comics Giveaway – October 2016’ post. The more emphatic and supportive you are on social media, the better your chances are of winning this haul of comics! Only likes, shares, retweets and comments on the Comics Giveaway post count as entries. The Comics Giveaway is only eligible for fans in the United States of America and Canada. Mixed Marvel Arts will cover the shipping costs of the comics. Digital copies of these comics are not included, all comics should be considered to be in good condition. The current Giveaway will run from Tuesday, October 18, 2016 to Monday, October 31, 2016. By following, liking and sharing this post, you are allowing the Mixed Marvel Arts to announce and share your social media name/handle when awarding the comics on the October #FantasyComicLeague episode of the podcast. The Mixed Marvel Arts is in no way associated or endorsed by Marvel Entertainment or The Walt Disney Company. Great giveaway! 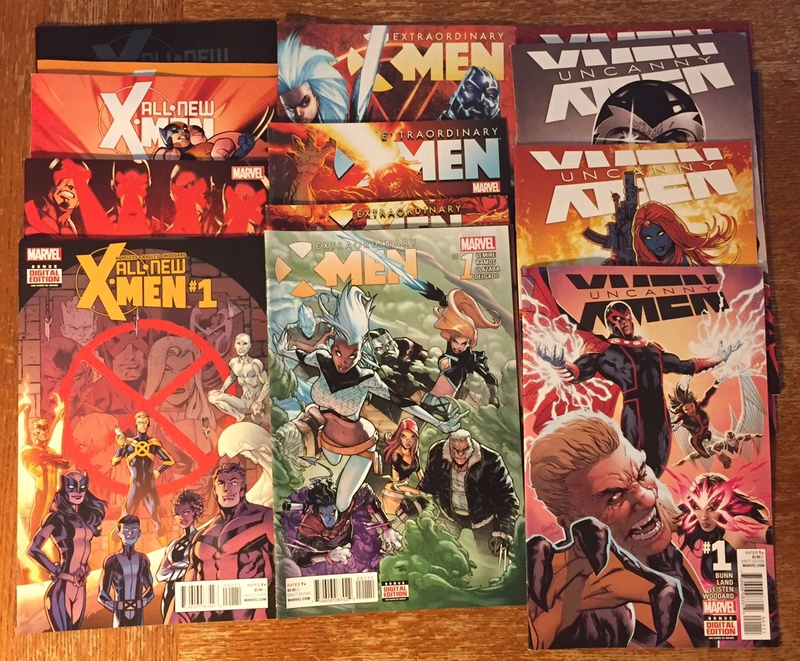 X-Men are my favorite so fingers crossed for the win! We’re pulling for you! This blog comment counts as an extra entry as well so keep sharing the good word and don’t forget to check the Facebook page out as well!